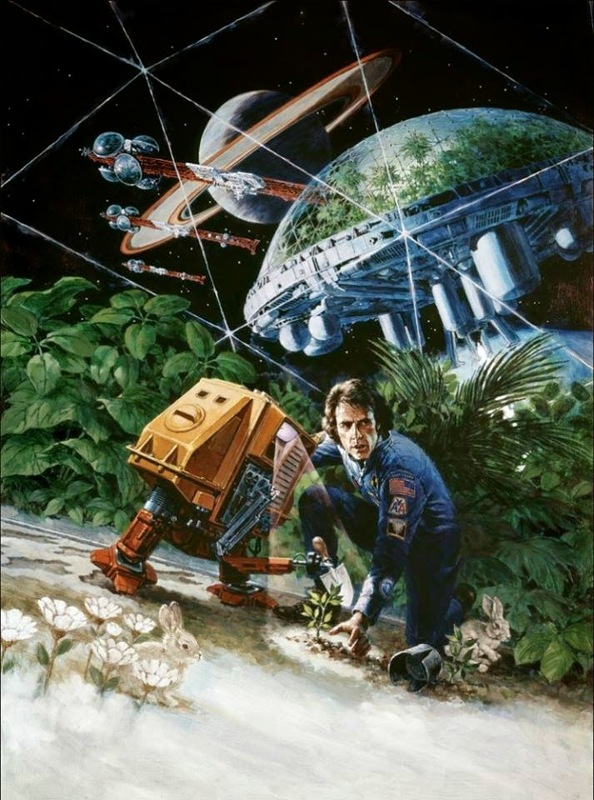 During one of my recent Google image safaris, I stumbled across this text-free scan of George Akimoto's painting for the the American one-sheet for Douglas Trumbull's 1972 sci-fi parable, Silent Running, and thought it was too nice not to share here. Updates have been infrequent of late, but I do plan on having some more substantial articles posted here soon. 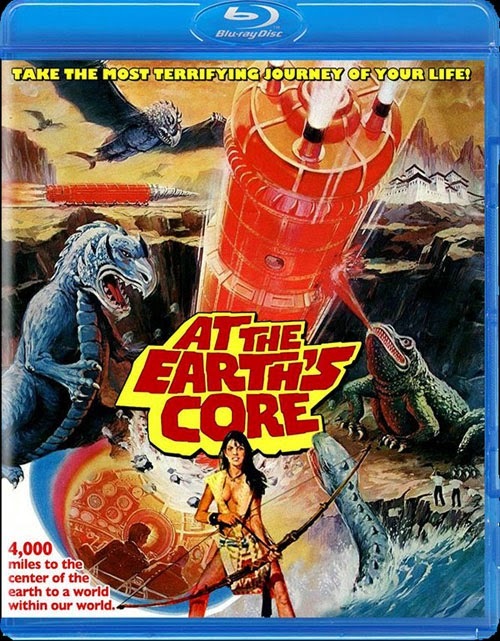 Good news for fans of the John Dark/Kevin Connor lost world epics of the Seventies: Kino Video and Scorpion Releasing have announced that they will be bringing to Blu-ray the Edgar Rice Burroughs adaptation At the Earth's Core (1976), starring stalwart Doug McClure, Star Wars' Peter Cushing, and the stunning Caroline Munro. The disc is scheduled to be released on January 13, 2015. There's more than lava at the Earth's core. There's also Pellucidar: an underground empire where gargantuan pterodactyls torture and enslave all humanoids - including the lovely Dia (Munro). But all that could change when a surface-dwelling scientist (Cushing) and an American businessman (McClure) drive their powerful "Iron Mole" straight into Pellucidar...stirring up a great deal more than dirt, rocks and lava! Sounds like an essential purchase! Here's hoping that this does well, so that Kino might also score the rights to Warlords Of Atlantis (which still doesn't have an authorized U.S. release) and the Time Forgot flicks.